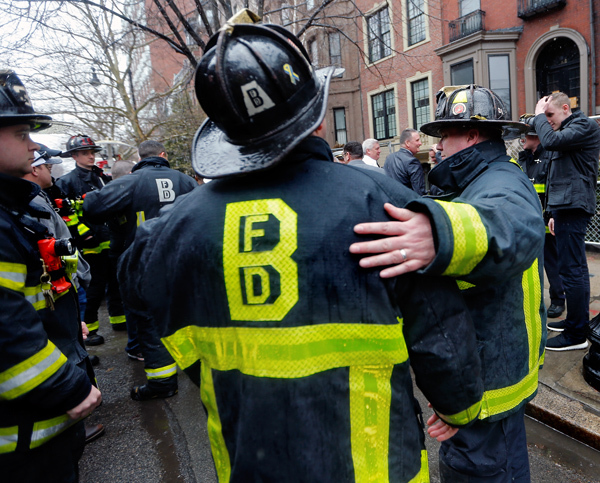 Boston Fire Dept. 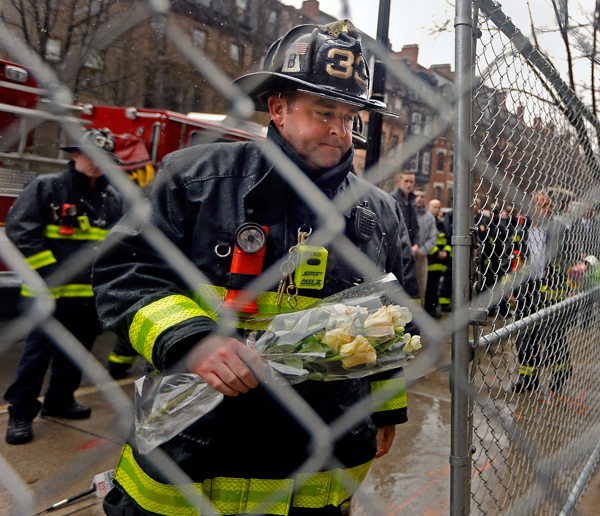 marks the one year anniversary of fatal Beacon St. fire. 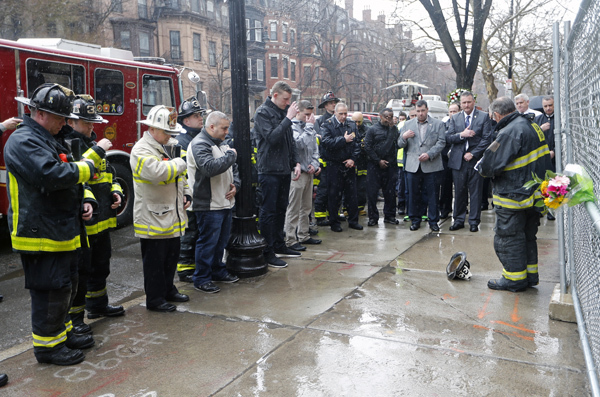 Boston Fire Commissioner Joseph Finn, Boston Fire Fighters Local 718 President Richie Paris, and members of Boylston street’s Engine #33 and Ladder #15 came to 286 Beacon St. to commemorate the 2:40pm alarm of fire, one year ago today, that would turn into an inferno taking the lives of fire Lt. Edward Walsh, and firefighter Mike Kennedy. 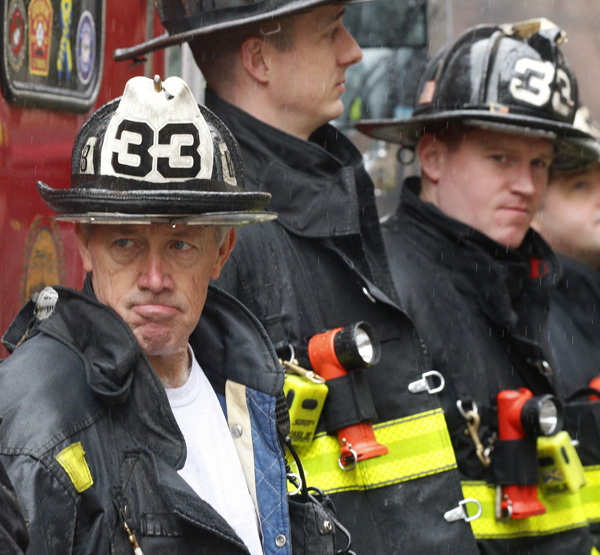 James Welsh, of Engine #33, spoke briefly while reading from a prepared text. 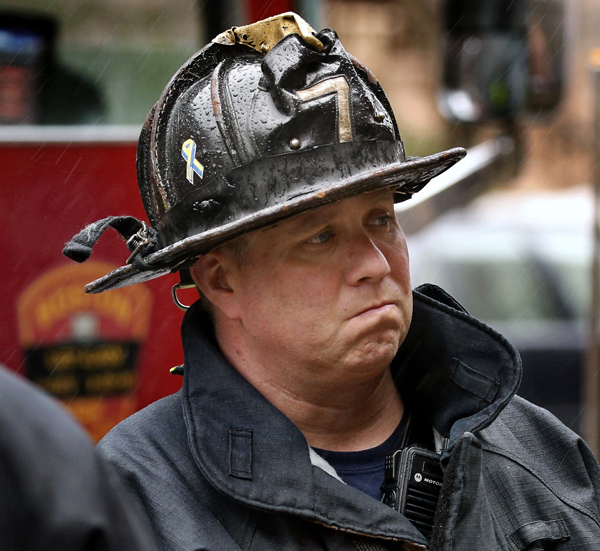 as a burst of heavy rain pushed through, lasting only a few minutes. 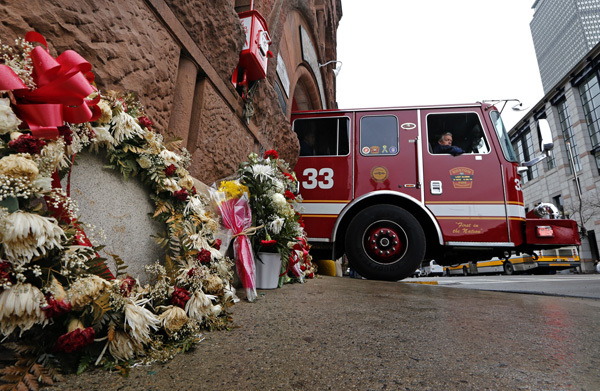 A moment of silence was then observed and then firefighters Joe Ford and Tim Freda placed flowers on the front stairs of the building. 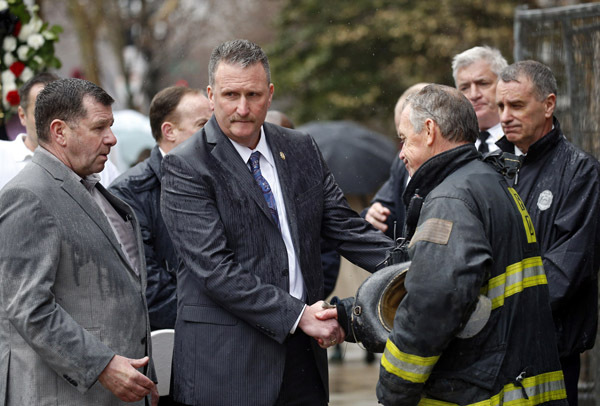 Here are some photos I snapped today. 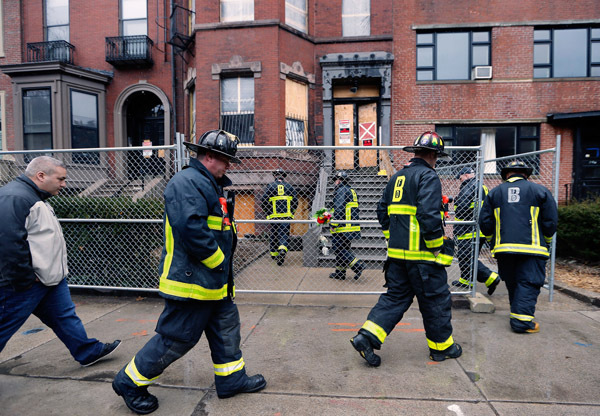 More in the Boston Herald, including a video. 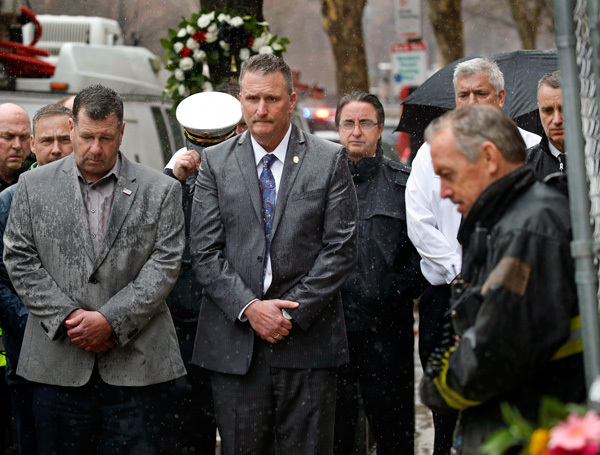 Posted in Uncategorized | Comments Off on Boston Fire Dept. 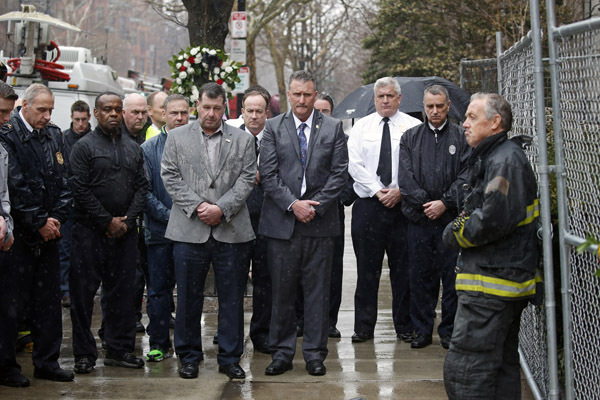 marks the one year anniversary of fatal Beacon St. fire.